Entrepreneurial, commercially astute, highly driven Supply Chain Management professional with verifiable success and track record in marketing and logistics services, commercial operations across bulk and international/domestic logistics, having achieved various business growth objectives within start-ups, turnaround and rapidly changing environments. Worked with several organisations as Pafex (subsidiary of FedEx), Gati Limited, Bhatia International, Sical Logistics Limited and presently as Dy. 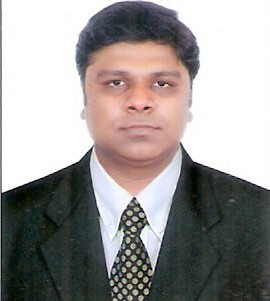 General Manager, Logistics and Fuel Supply Management, Adani Group. Extensive experience in International/ domestic bulk (Coal) cargo business and operations. Possess deep understanding of clients’ critical business drivers in multiple markets and industries. Adept at building deep relationships with senior management who are often key decision makers, business partners and vendors across the globe. Expertise has unique combination of strong educational background with Industrial experience, specialization in MBA, MFT, PGDSCM, DMTLM, DPDM and Pursuing PhD (Supply Chain Management). Day starts early by prioritizing the daily schedule plan of activities, completion of any pending or ongoing work need to give attention is top priority. Discussion with sub ordinates over phone or personally for issues pertain to our siding operation , coal dispatched from ports/mines to the plant, en route inventory dispatched by various ports/ mines and other vendors which shall supposed to be received. Cross check stock level as on the day at storage yard with reference to consumption for the day and planning of expected cargo required daily/ weekly/ monthly looking to approximate consumption and maintaining company set minimum prescribe limit of stock level, any deviation should need action immediately to ensure above. Ensure deployment of labour & machineries on time at siding before arrival of rakes. Ensuring smooth operations whole day looking to expected rakes on platforms and evacuation strategies to accommodate next arrivals. Maintain satisfactory /harmonious employee relations, organizing cross functional meeting with core and supporting departments to solve internal grievances by rapid action on issues to remain focused. Liaison with various divisions of Railways, Ports, Gram Panchayat, Local political authorities, and environment related issues for smooth operation activities. Evaluation of contractual quantity and quality delivered by vendors, contractors, third party agencies and performance of employees to curtail unneeded expense and optimization of resources to maximize profitability of business operations. Day close at late night by review of whole day total supply chain management activities, deviations correction effectiveness, follow up actions, delegation of work include various factor like cargo receive vs target, inventory balance at stock yard, consumption factor, logistics cost optimization, resource optimization and finally updation for the day activities to senior management with best possible solutions to achieve our targets, action taken reports & next day activities with best available solutions strategies in advance. There is no doubt that India, which has been for long among the most industrialized nations, is now the second largest developing economy of the world. Till recently, India was a country where international corporations were thinking of entering to increase market penetration. Since then it has taken two more significant leaps: the first of becoming a manufacturing hub of the region and the second, that of becoming a trading hub of the region. Clearly the center of gravity has shifted to the sub-continent in a dramatically short period of time. This immediately necessitates a commensurate development in terms of logistics expertise that can drive supply chain efficiencies in a significantly better way. With the logistics cost in India at a steep 14% as against 8 to 9% in developed economies, only evidences this. This is the gap we have to fill by right supply chain expertise. CII IL is internationally recognised as a major centre of supply chain excellence and provides a resource encompassing taught supply chain courses for graduates and managers, executive short courses, customised programmes, research and development capabilities and a continuing commitment to the dissemination of ideas and knowledge through publications and symposia. Many organisations require individuals training programmes specifically tailored to meet the requirements of their business. CII IL has a worldwide reputation for its ability to develop open long term relationships with such organisations, identifying their specific needs and working with them to provide relevant training solutions which bring them immediate improvement to their business. How did the content help in enriching your knowledge? New insights into aligning my supply chain to achieve competitive advantage. An increased understanding of the impact of supply chain management on costs and financial performance. Appreciation of approaches and frameworks that can be applied to different market segments. Reviews of the latest thinking on supply chain strategy, planning and execution. Appreciation of how competitive advantage can be achieved within dynamic market places. Ability to address the management of supply chain risks. Recognition of the value of working across functions. How did the certificate issued by CII help in elevating your career to the next levels? Completed Post graduation diploma in supply chain management in 2008 from CII IL after two post graduations MBA & MFT from repute university of India, as supply chain certification is required by many of employers —and is the proven standard. Ideal CII IL program certificate provides validation or accreditation for career growth. CII – IL has a reputation for making contributions to knowledge and practice of management and leadership, and aims to be both academically rigorous and relevant to practitioners.